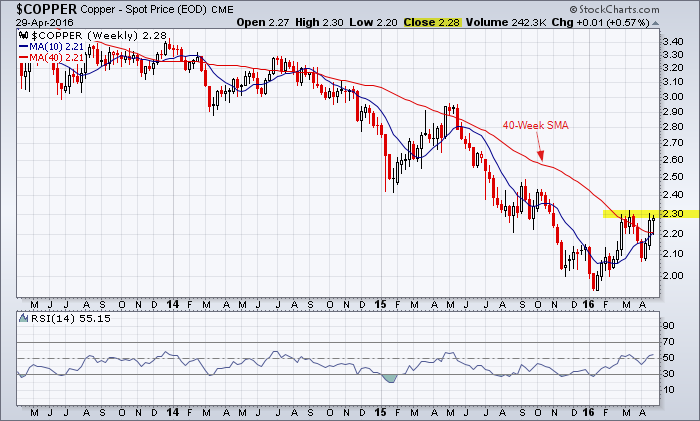 The price of copper underpins the recent rally in mining stocks. 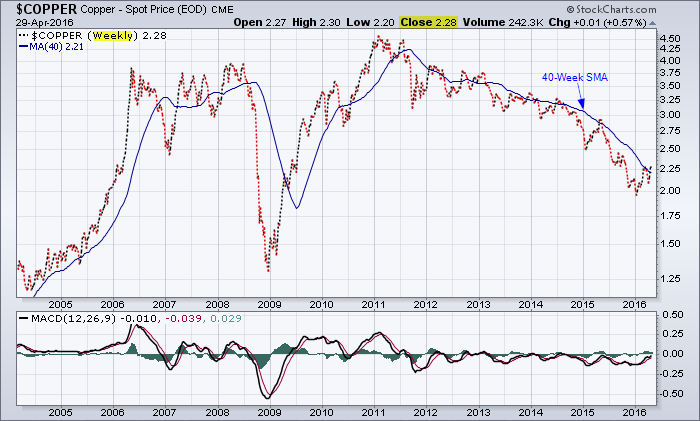 Copper is also a proxy for the overall view on the the direction of the world economy: particularly the view on China. Copper has an inverse relationship with the U.S. dollar but in the end it is the perceived supply and demand balance that determines the price for copper. Reference a previous post from March 31, 2016. Reference post from March 20, 2016: Daily chart for copper showing the doji on Friday and the lateral trading zone. This entry was posted in Other Topics and tagged candlestick chart, chart, copper, long-term, resistance on April 29, 2016 by Trader.